-Perfect game for birthday celebrations, parties, hen or bachelor nights. -This is a spin and dice game with a hope of number lands to the lucky member. -Spin the wheel, take a chance, take a shot! -When the ball lands on your number, you get to drink! 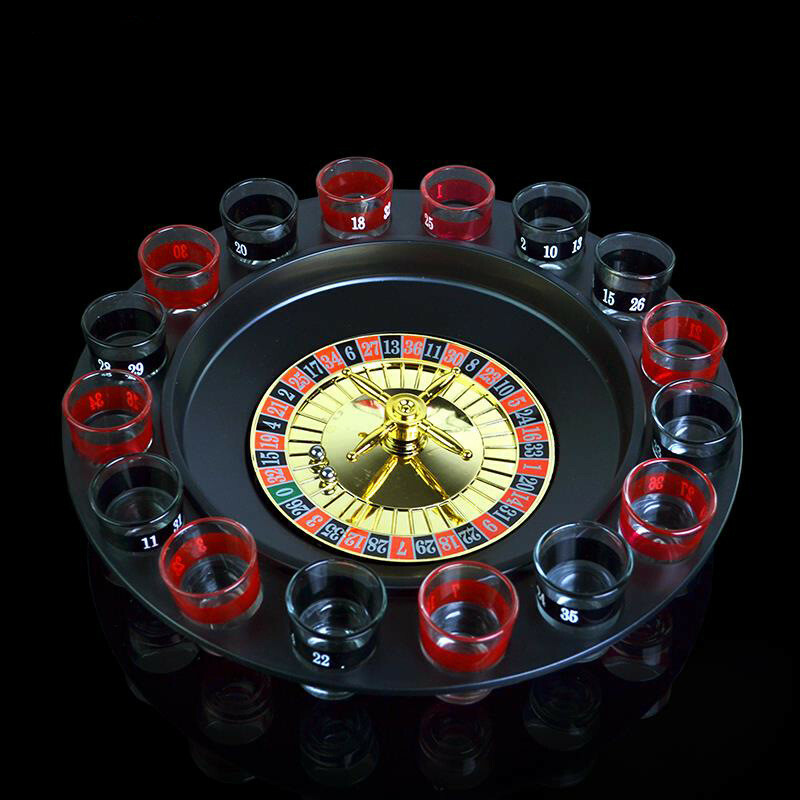 -Shot roulette Bring Las Vegas home to your next party with the Roulette Shot Glass Game. -This is an authentic working casino-style roulette wheel made of durable high impact plastic. -A fun addition to any poker or casino party. -The shot glasses are black or red with numbers on it.